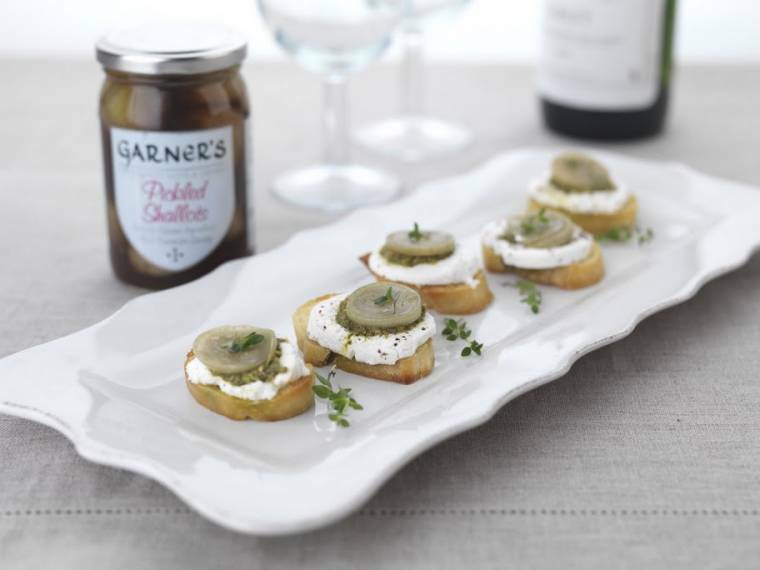 Garner’s pickled onions have been working with celeb chef Nigel Barden and have created tasty unusual canapés for the festive period. 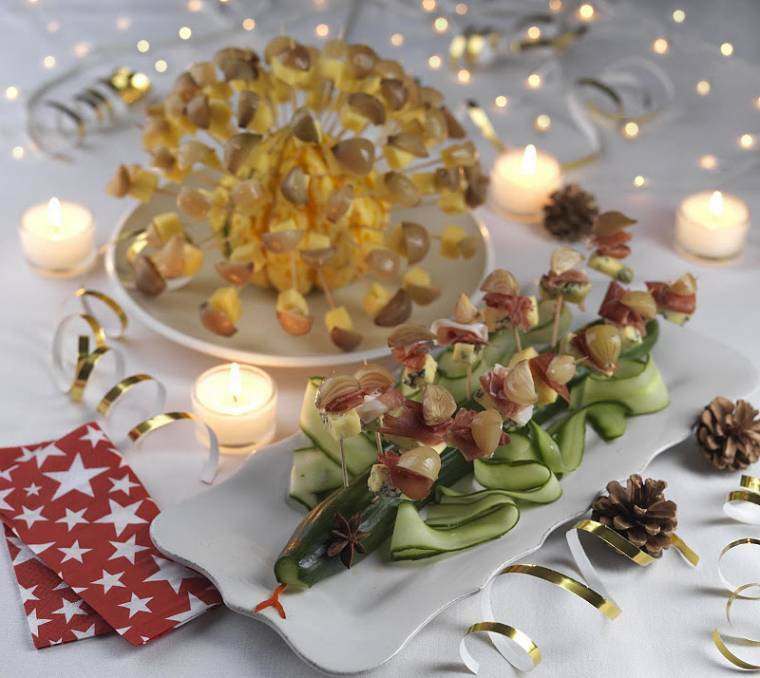 Fancy trying these fun recipes out? 1 cucumber – even better if it has a bend in it! Red pepper for forked tongue! Cut a thin slice off one side to create a flat base. Mark skin with a canelling knife if wished. Thread the wooden sticks with a Garner’s Sweet Baby Pickled Onion, a nugget of cheese, weave on a sliver of ham and finish with an onion. Jab completed sticks into the cucumber in 2 wavy ‘tramlines’ up the centre from end to end. Use a small vegetable knife to shape a mouth at one end and push in a piece of red bell pepper shaped as a forked tongue to complete the snake. Grilled Goat’s Cheese Croutes with Pickled Shallots. Pre heat oven 180 C/ Gas No4. Slice bread obliquely to create diagonal pieces. Line a metal tray with baking parchment and fill tray with slices of bread. Place a thin wedge of cheese on each slice and press in a couple of pickled shallots. Add a dot of pesto and roast in oven for approx 5 minutes until cheese just melting around the onion. 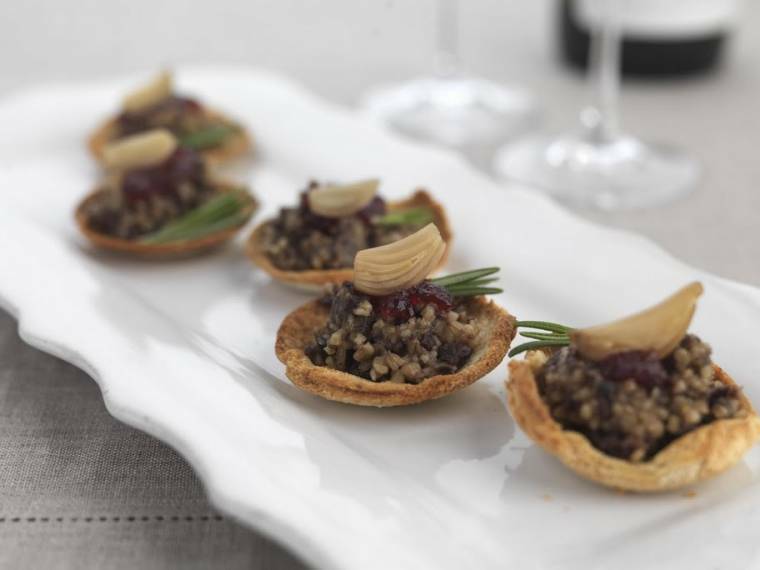 Haggis and Original Pickled Onion Tartlets. Pre heat oven to 180 C/ Gas No4. Using a rolling pin flatten bread slices a little. Butter a bun tray and use a cutter to make circles of the bread to fit dimples on tray. Brush bread lightly with butter and bake in oven for approx 10 minutes until crisp and golden. Remove from tray and repeat with remaining bread to make as many canapé cases as you require. 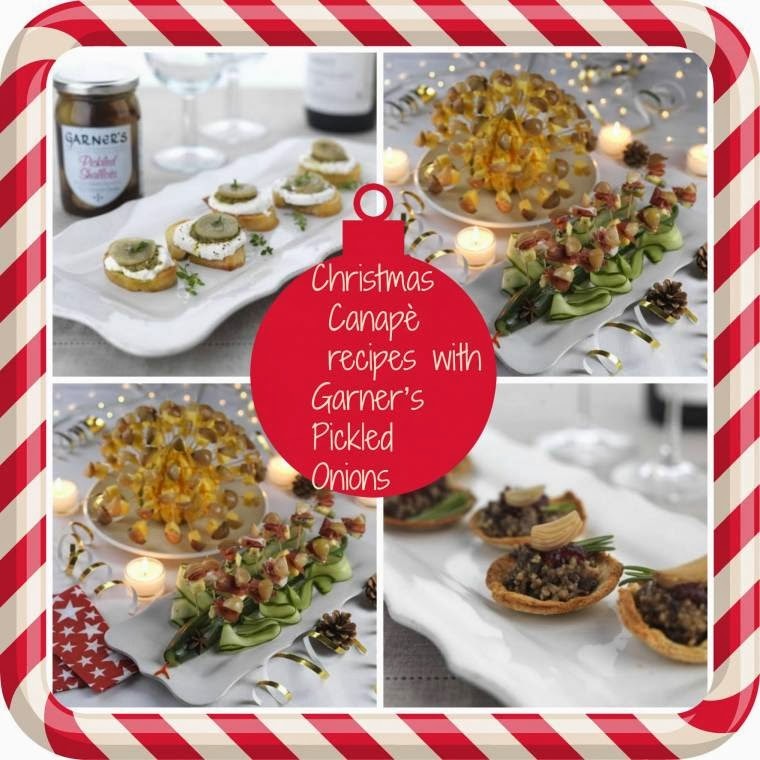 When required, fill cases with warm haggis, a teaspoon tip of cranberry sauce and top with a chopped Garner’s Original Pickled Onion. "Did Anyone In Your Family Have A Movember?" "Poached Pears in Biddenden Red Wine…." You now have a new follower, Can you please Follow back? Become a fan on my Christina's voice Fan page. Thanks have a great day!